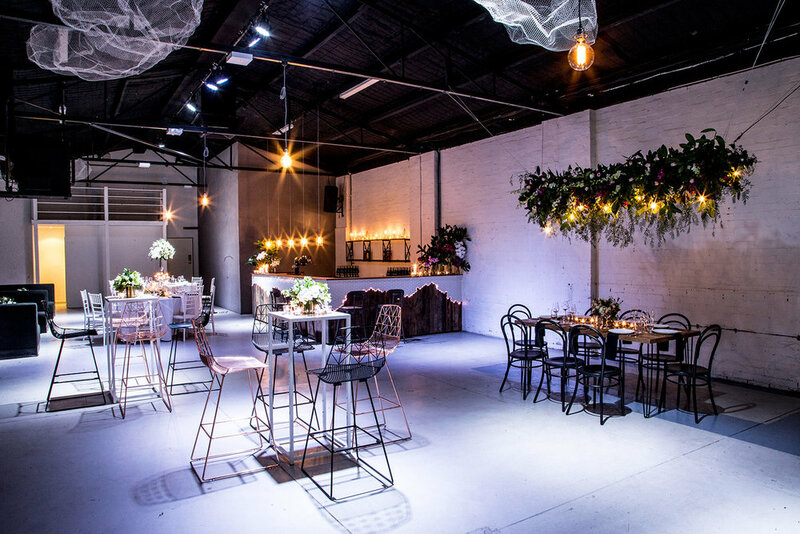 Design the wedding of your dreams for up to 150 people from South Yarra’s warehouse wedding venue. It is our opinion that there is no more special and loving an occasion than a couple’s wedding. There is a joyous atmosphere in the air, one that signifies the fun and merriment that comes with bringing together all your loved ones to celebrate a new union. 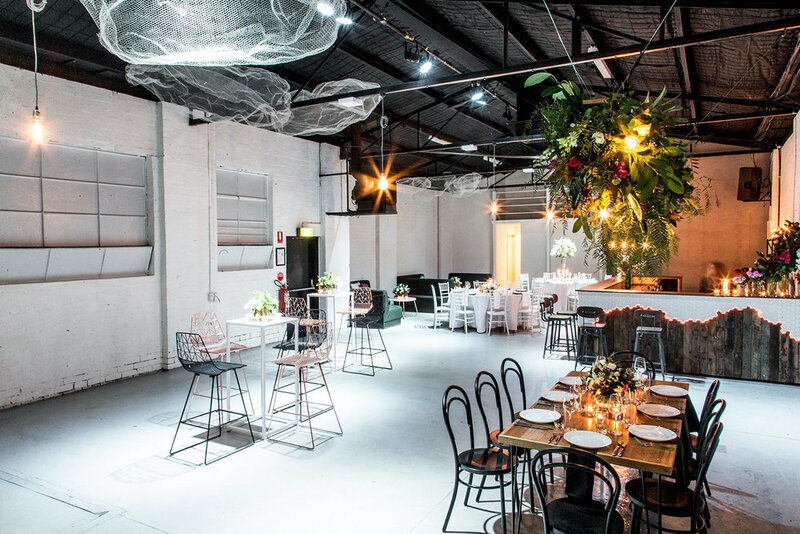 Naturally, you want your wedding venue to reflect this bright and joyous occasion, and there is no better warehouse wedding venue in Melbourne than that of Ellis Street Studio. 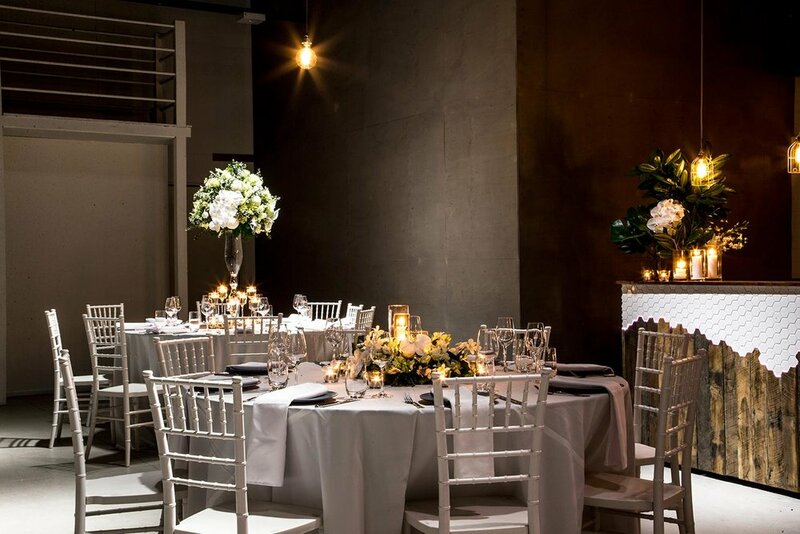 As one of Melbourne’s preeminent industrial wedding venues, our centre incorporates beautiful, light filled design with impeccable service to create wedding receptions that are a joy to behold. Allow the team at Ellis Street Studio to make your special day absolutely perfect with one of the wedding parties of the year. Toast to the one you love most with Champagne and mingle with guests over seasonal canapés and a selection of finger food. Sit down with your guests for a decadent candlelit banquet featuring gourmet dishes prepared onsite in our commercial kitchen. Surprise your guests with an elopement wedding reception from our unassuming warehouse wedding venue. Given that our team of hosts, wait staff, bar staff and chefs at Ellis Street Studio love the excitement and atmosphere of a great wedding reception, it’s only natural that we work hard to put them on. With a range of services including stunning banquet fare served up by our full commercial kitchen, rare 3am liquor licence, full sound system for carefree guests to get their groove on and a large capacity, we really put ourselves forward as one of the most enjoyable wedding venues in Melbourne. What’s more is the stunning design and décor on hand to complement this light and bright occasion. 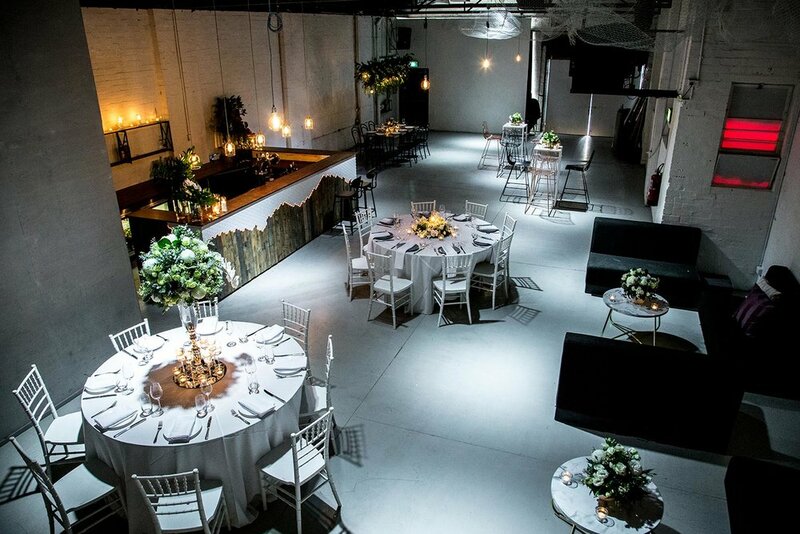 Beautiful contemporary design, ambient lighting and sophisticated, polished concrete floors (perfect for dancing) are all adorning our elegant, industrial wedding venue. 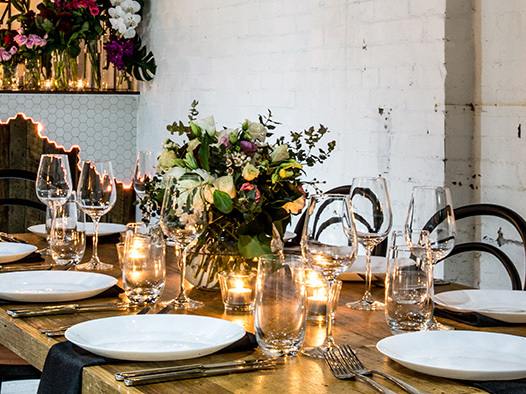 Eat, drink and dance the night away from South Yarra’s warehouse wedding venue. Click the button below to start planning your wedding at Ellis Street Studio. Step inside from an unassuming entrance on Ellis Street and discover a beautiful warehouse venue with all the space you could possibly need to host the wedding of your dreams. We will happily allow you to choose any form of wedding party you are looking to hold. Whether it be a large, stand up party, replete with floor hitting, or a refined, sit down banquet dinner (or both rolled into one great party) our team of wedding-lovers will happily make the arrangements that in turn will make you happy on this most special of days. To find out more please feel free to call our friendly and helpful team on 03 8579 0951 or submit an enquiry form on our contact page and we will get back to you with all the information you require.